Carnival F1: a modified acorn type, Carnival is beautiful, productive, tasty and long lasting. It benefits from some curing, and does not lose its colors, they tend to intensify with maturity. 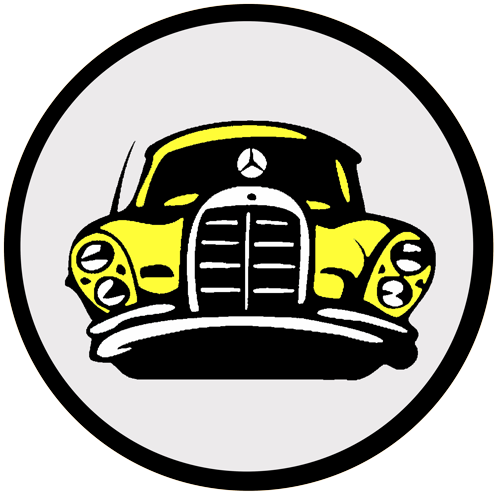 The flesh was yellow and deep. The texture was very creamy (especially for an acorn), but meaty, similar to Delicata but with a fuller texture and mouth feel. It is pretty sweet and very mild. As a cold squash with no additions, we liked it better than Heart of Gold, which has a pointy heart shape rather than the flat bottom shape that Carnival displays. 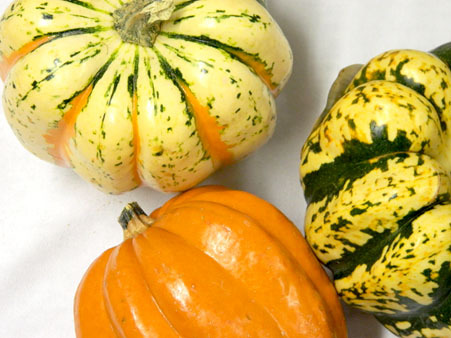 Carnival is a hybrid of the sweet dumpling squash and the acorn squash. 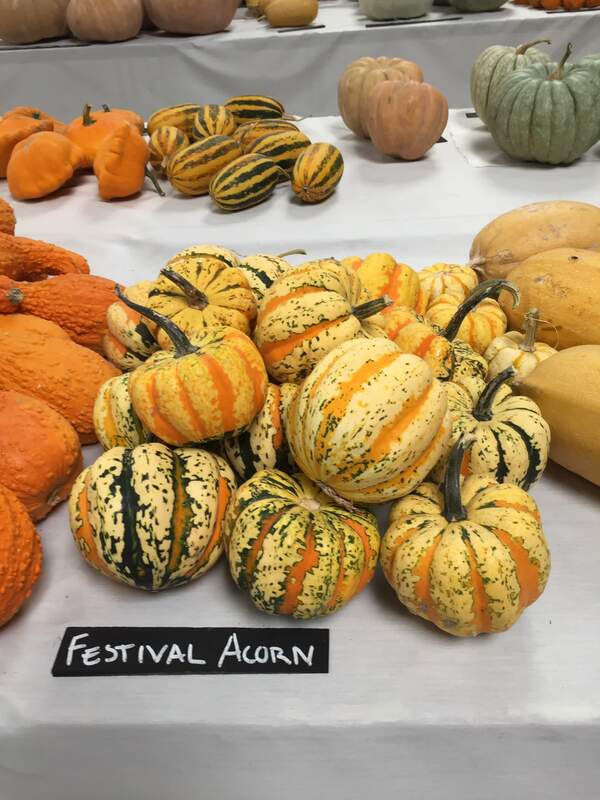 Classified as a type of acorn squash and a vegetable gourd the Carnival squash is a relatively new variety of squash and is sought after for its uniquely patterned and colored exterior. 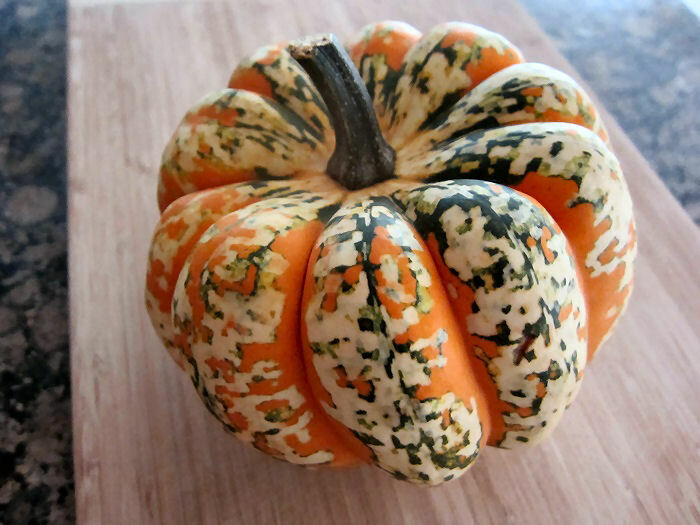 The color variance in the rind of the Carnival squash is the result of seasonal temperature variations with warmer temperatures producing Carnival squash with slightly more pronounced green stripes. The Carnival squash was developed by plant breeder Ted Superak of Harris Seeds in North America. 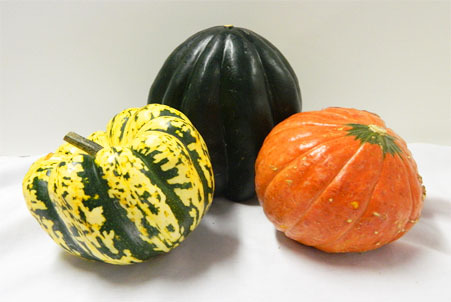 The Carnival squash was developed with the intent to improve upon the sweet dumpling squash. A newer squash to the commercial marketplace the Carnival has seen an increase in popularity in the United States as a result of food and lifestyle bloggers writing about finding it and utilizing it as a decorative gourd during holiday seasons and then happily discovering it additionally provides a flavorful eating squash. The Carnival squash is produced from descendants of squashes native to Mexico and was introduced to the market in 1991. It is believed to be a hybrid cross of the sweet dumpling squash and a green acorn variety known as green table queen. 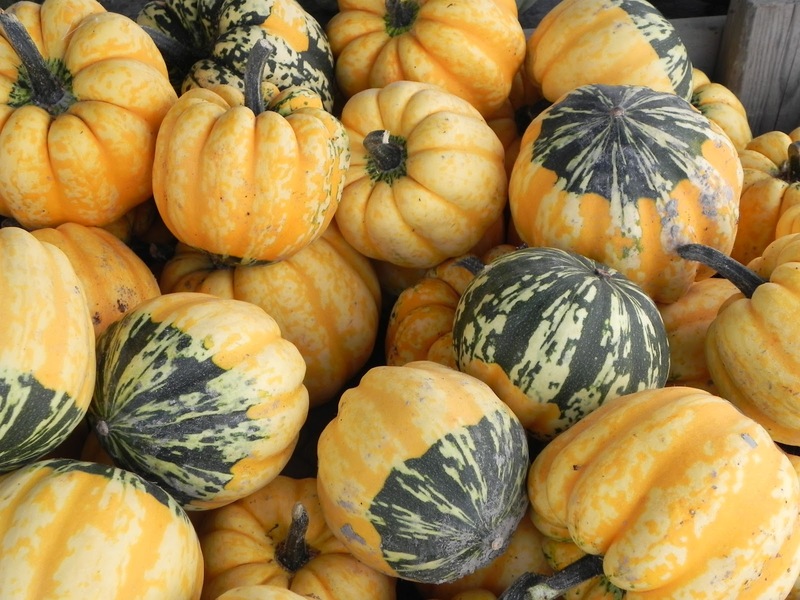 Even though considered a winter crop, winter squash such as the Carnival need sunshine and warmer weather to flourish. Seeds should be planted after the last frost of the spring. Squash should be ready for harvest within eighty-five days of planting. 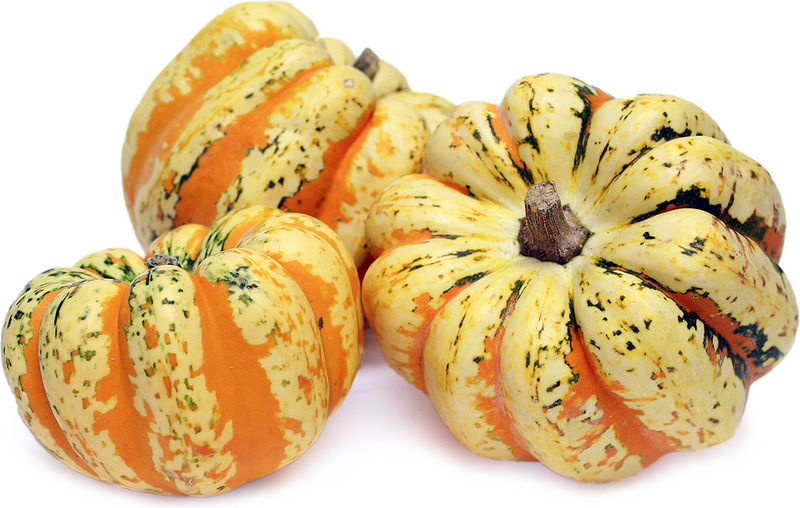 Carnival squash plants grow in a semi-bush fashion which makes them an ideal squash for smaller growing spaces. Can be planted in your landscaping or in a very large pot. This winter squash combines the superior sweet-flavoured flesh of a Delicata with the shape of a blocky acorn. Skin has bright white and green markings with orange background stripes. 2 lbs fruits. Non-runner, type Patidou, disease-resistant, it produces from 5 to 8 fruits per foot, 10 to 15 cm in diameter and 10 to 12 cm high, from 500 g to 1 kg. Orange flesh, fine, firm, of excellent quality.